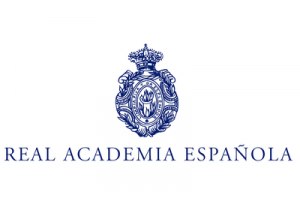 The Royal Spanish Academy (Real Academia Española, RAE) is the Spanish official institution responsible for overseeing the Spanish language since 1713. The RAE is affiliated with national language academies in twenty-two other Spanish-speaking nations through the Association of Spanish Language Academies (Asociación de Academias de la Lengua Española, ASALE). The RAE and ASALE promote a pan-hispanic linguistic unity and integrity within and among their respective territories to ensure a common language standard while acknowledging polycentric koinés. To achieve this goal, RAE regularly publishes dictionaries, grammars, orthographies and classical literary works. Free linguistic advice is also provided. 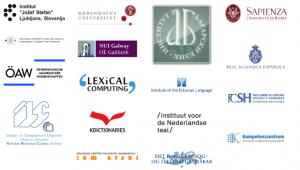 The RAE has been recently advising in the Spanish National Plan for the Advancement of Language Technology. Paz Battaner-Arias (PhD) is a full member of Real Academia Española. She is a retired Professor of Spanish language at Universidad Pompeu Fabra (UPF), where she was chief researcher in several projects about language teaching, lexicography or corpus creation and dean of Translating and Interpreting School. She is a member of Euralex (European Association for Lexicography) and serves on the editorial board of scholarly publications. She is chief editor of a variety of dictionaries. Jordi Porta-Zamorano (PhD) is a computer scientist working in the area of computational linguistics. His areas of expertise ranges from NLP applied to standard and nonstandard varieties, grammar checking, or search engines for corpora and dictionaries. José-Luis Sancho-Sánchez is a computational linguist. With a lifetime career at the RAE, his experience ranges from lexical database population to Dictionary Writing Software development, with deeper hands on experience on reference corpus creation, annotation and exploitation and electronic lexicography.She is chief editor of a variety of dictionaries. Rafael-J. Ureña-Ruiz is a computational linguist. Also with a lifetime career at the RAE (except a year in RACEFyN developing a sci-tech corpus), his experience ranges from corpora annotation resources to multiformat digital publishing, both in backend and frontend tasks.